Development: January 1, 2015 to December 31, 2017. Short description: The project seeks to address one of the great challenges faced by the Spanish and European cities: to look for options to intervene in the massive residential complexes (or housing estates) built during the decades of great urban growth ranging from 1950 to 1975 . The critical comparative study, in relation to European models, of those slum blocks and towers, with emphasis on urban forms, is one of the lines of work. 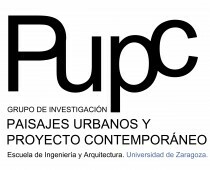 In addition, the research project acquires a more applied nature, aimed to evaluate proposals for urban regeneration of such residential complexes.